Abstract: The thermal behavior and compressibility of natural prehnite have been studied using synchrotron-based X-ray diffraction (XRD) and Raman spectroscopy. 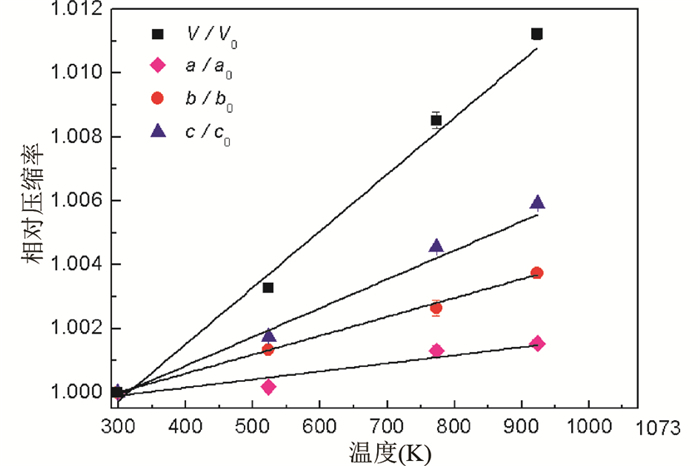 In-situ high temperature XRD experiment results show an obvious axial anisotropy (αa < αb < αc) of prehnite and its thermal expansion coefficient is 1.77(3)×10-5K-1. The dehydration reaction of prehnite occurs at 1073K, generating anorthite and wollastonite. 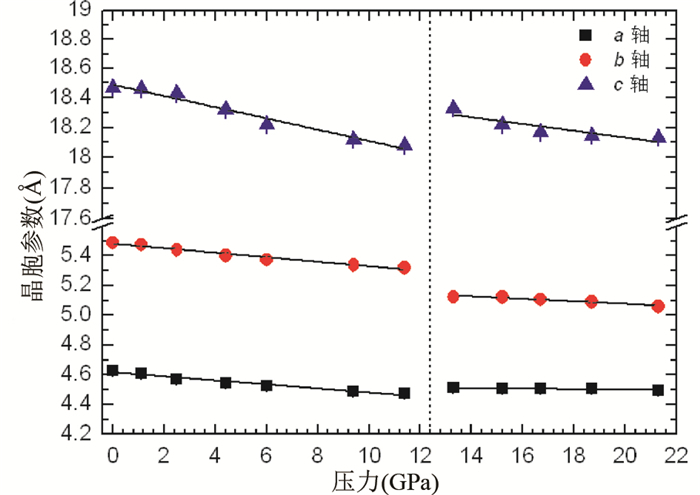 In-situ high-pressure experiment results indicate that above 12.4GPa, the unit cell parameters of prehnite undergo discontinuous changes which may be due to a phase transition. 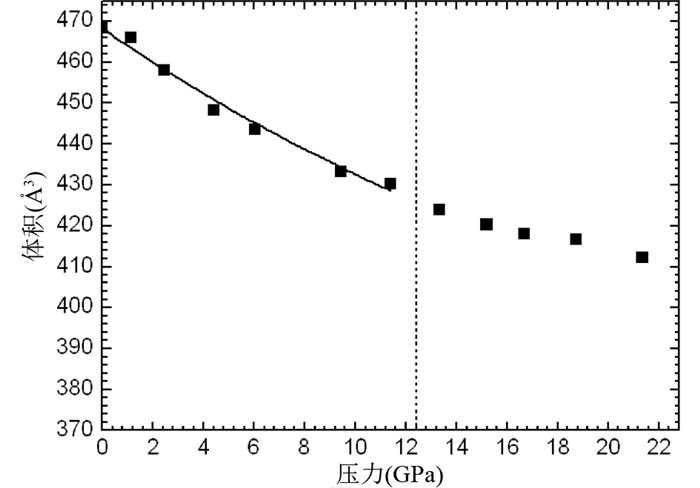 At about 24.0GPa, an irreversible amorphous transition of prehnite occurs. 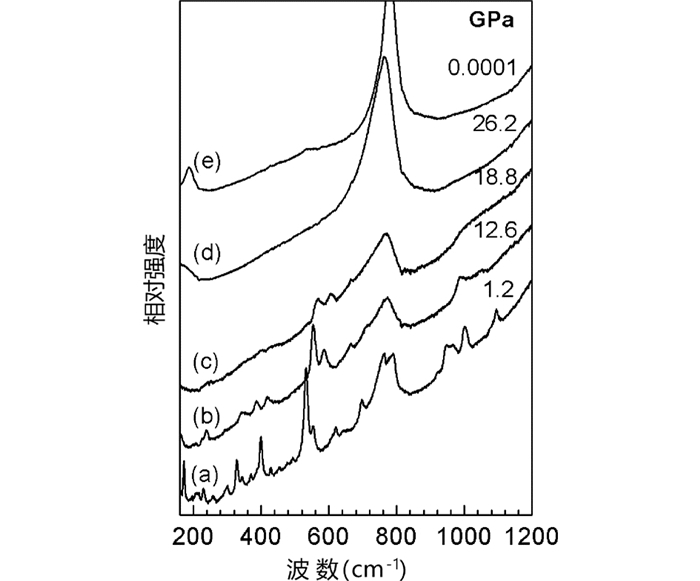 In-situ high-pressure Raman spectroscopy observations show that a phase transition may occur at about 12.6GPa, which is probably caused by an ordering arrangement of Si in[(Si, Al)O4] tetrahedra. In combination with the thermal expansion and compressibility of prehnite, we estimated the stable range of prehnite under high temperature and pressure to understand hydrous minerals and the source of water in upper mantle. Detrie TA. 2008. 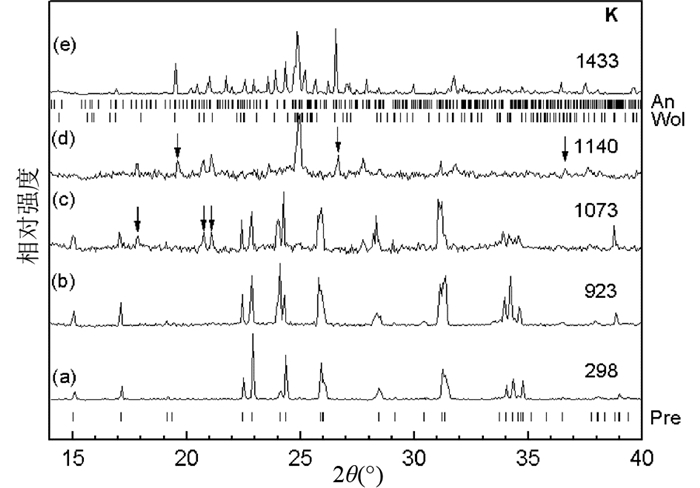 Prehnite at the atomic scale:Al/Si ordering, hydrogen environment, and high-pressure behavior. Master Degree Thesis. Blacksburg, VA:Virginia Polytechnic Institute and State University, 49-50. Du JG, Li Y, Wang CY and Liu L. 2010. High Pressure Geoscience. Beijing: Seismological Press: 1-228. Gatta GD. 2008. Does porous mean soft? 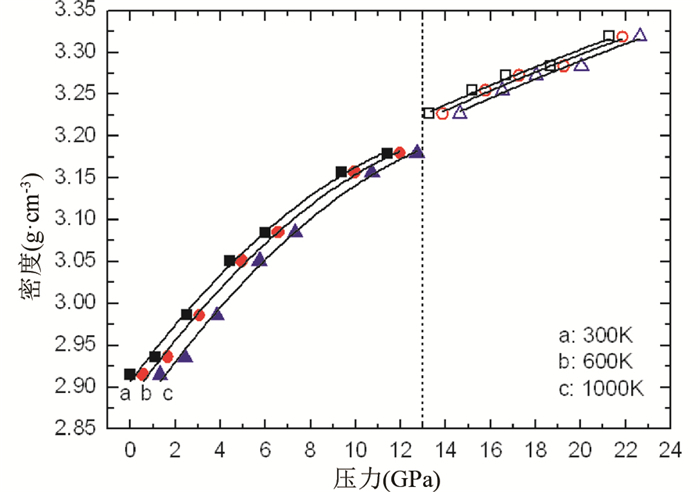 On the elastic behaviour and structural evolution of zeolites under pressure. Zeitschrift für Kristallographie, 223(1-2): 160-170. Han QJ and Shao JA. 1999. Progress of study on water in the Earth's mantle. Geological Science and Technology Information, 18(4): 33-36. Liou JG. 1971. 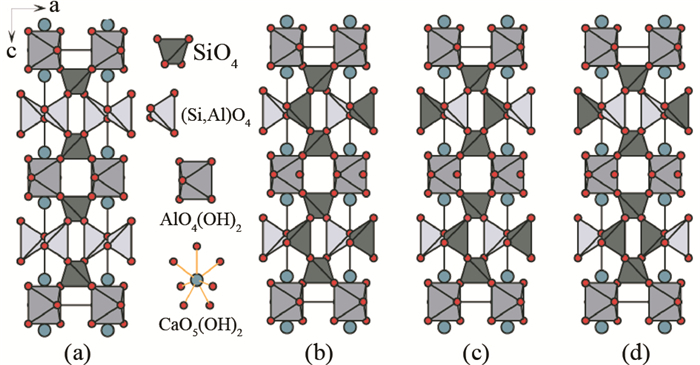 Synthesis and stability relations of prehnite Ca2Al2Si3O10(OH)2. American Mineralogist, 56: 507-531. Papike JJ and Zoltai T. 1967. 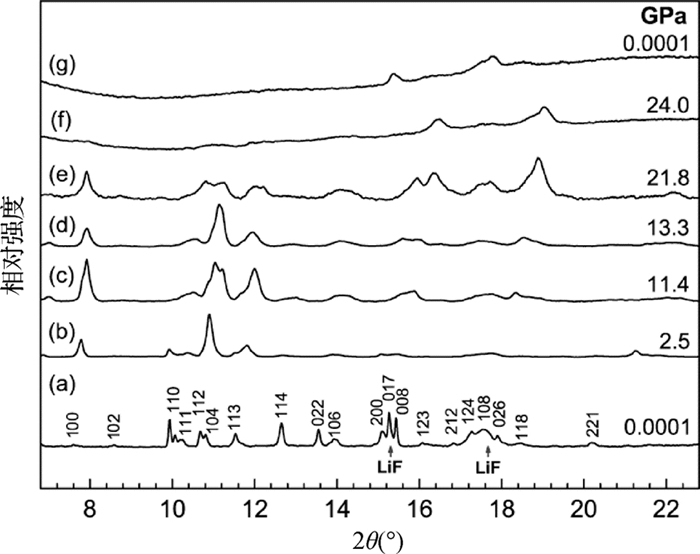 Ordering of tetrahedral aluminum in prehnite Ca2(AlFe+3)[Si3AlO10](OH)2. American Mineralogist, 52: 974-984. Peng ZZ, Zhou GD and Tang YQ. 1957. The structure of prehnite. Chinese Science Bulletin, (11): 330-331. Ringwood AE. 1975. Composition and Petrology of the Earth's Mantle. New York: McGraw-Hill. Yang CP, Jin ZM and Wu Y. 2010. Water in the mantle transition zone and its geodynamic implications. Earth Science Frontiers, 17(3): 114-126. 杜建国, 李营, 王传远, 刘雷. 2010. 高压地球科学. 北京: 地震出版社: 1-228. 彭志忠, 周公度, 唐有祺. 1957. 葡萄石的晶体结构. 科学通报, (11): 330-331. 杨翠平, 金振民, 吴耀. 2010. 地幔转换带中的水及其地球动力学意义. 地学前缘, 17(3): 114-126.